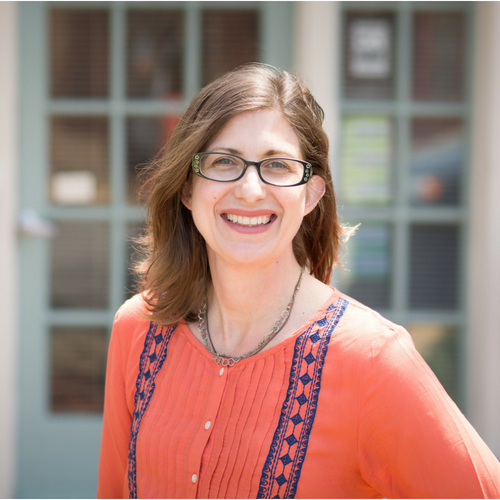 August 22, 2018: Dr. Laurie Smith Berger of Holistic Family Practice is pleased to welcome Dr. Rebecca Gould Karlen to the clinic family. Dr. Gould joined the practice in July. Holistic Family Practice, located at 2918 Sutton in Maplewood, plans to hold an Open House this Fall on October 6th, from noon until 3:00. There will be family activities, snacks and an opportunity to experience a wellness evaluation with one of the doctors. You may also meet Dr. Gould at one of her free community workshops on nutrition, habits and other health topics. To learn more about upcoming events visit her on Facebook, Facebook.com/HealingSTL or call 314-727-2120. Having fun is a top priority for me. 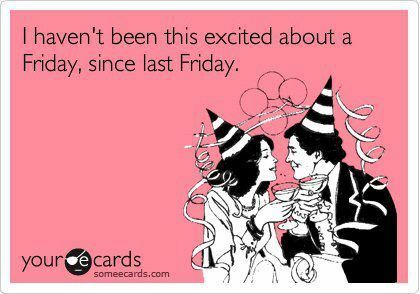 I love parties, holidays, birthdays, snow days . . . You name it! But, in order to keep my indulgences in line with my health goals I need to be reasonable about how and when I kick up my heels. A piece of cake or a few adult beverages will not have a significant effect on your long term health. The most important predictors of long term health, more important than genetics, are your habits. Many of us are in the habit of finding frequent reasons to celebrate with food and drink. And sometimes we wait to start “getting healthy” until after Mother’s Day, or school lets out, or until after Memorial Day, or until . . . But, what if you could reel in the ways you celebrate, and your justifications for treating yourself? 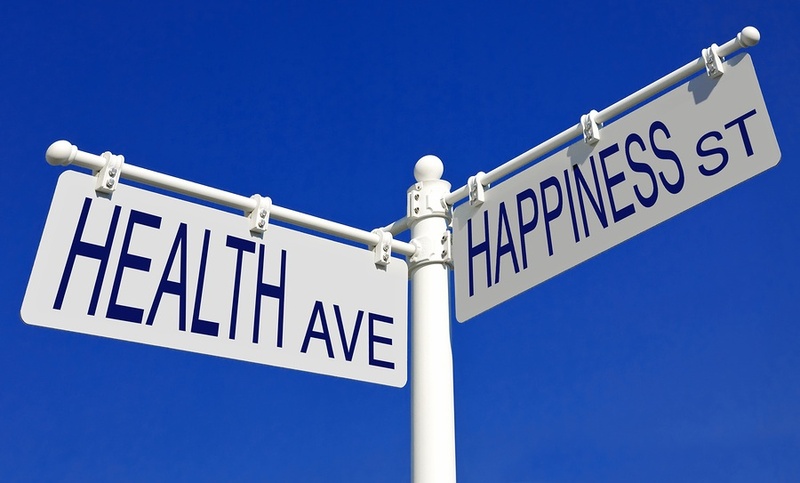 Would that help you move toward what you really want for your health in the long run? I’d love to hear your thoughts on celebrating! Explaining chiropractic. As a chiropractor and enzyme nutrition practitioner I specialize in the restoration and maintenance of health. The goal and purpose of a chiropractic adjustment is to remove interference in the body’s nerve system. When interference is removed the body can do what it should do naturally; Self-heal and self-regulate. Chiropractic, when explained in a simple way, is something that most people understand intuitively. Watching the changes. Sometimes improvement in health is instant and very noticeable, but sometimes the changes are more subtle. I love it when a client says they notice that they have been sleeping better, or have less fatigue, or can more easily feel when their body is out of balance. Listening. It is a privilege to be able to help people achieve their goals, and I make sure I have plenty of time to listen to my clients’ stories. I want to fully understand what clients’ concerns are, but even more importantly, I want to know how improving their health will make their lives better. Working with kids. In many cases children require only small adjustments or small dietary changes to experience big improvements in their health. Working with kids is awesome! In children the amazing power of the body to heal can be seen most easily. Teaching. My free community health classes are always a fun way for me to share information that helps people to live healthier lives. I have also helped future chiropractors learn enzyme nutrition at Logan College, a role that I was truly honored to fulfill. Learning. In addition to my degree in chiropractic I have spent many, many hundreds of hours studying health and nutrition. I study current research articles on a weekly basis and travel far and wide to attend seminars throughout the year. I do this because I am dedicated to continually developing my knowledge and clinical excellence as a practitioner to serve my clients in the best possible way. Creating hope. I have had the wonderful experience of helping people who had difficult health situations who thought no one could help them, or who were told that their health concerns were “all in their head.” I have years of experience assisting clients with difficult challenges, I study and research to be the best I can be, and I have a team of experts a phone-call away. It is a wonderful transition to see despair become hope, and to guide hope into action, and to see action create changes for better health. Who do you have in your live that supports you to make healthy decisions? I talk to many women, some men too, but mostly women, who want to embrace better health habits. Do their husbands/partners support them? Cheer them on? Sometimes they do not. Some people see their life partner as a barrier to getting healthy. That stinks! Here are some of the sabotage strategies I have heard about from my clients. Ridicule – “It’s just like the time you took up Tae Bo! I’ll make room for your new juicer in the attic next to your Abdominizer. Negate – “I looked that up, and there was a very negative online review.” Even His Holiness The Dalai Lama, kittens and rainbows have negative online reviews. A negative review should not be the excuse for rejecting something for which there is overwhelmingly positive evidence. So, where does that leave you. Do you need a partner? Someone to support you to change for the better? I say, get someone who is trying to get healthier too. Phone a friend! Go to a meeting! Get a therapist! Hire a life coach! Maybe when you set an example of health that partner of yours will be inspired. But don’t be held back from your AWESOMENESS! It’s your body and your life. I did not even have to paint my thumbnail red. When I pick up the phone in the car I think about Steve’s video and I put it down. Or leave it in my purse altogether. No text or call is so urgent that I should risk my life, or anyone else’s. I have thought about the video posting often because he says, of using the phone while driving, that it was just a bad habit he had gotten into. Just a bad habit. Sounds pretty innocuous, but bad habits can kill you. Sound familiar? For most people I work with it is a struggle to do what we desire to do: Create the habits that will sustain us and improve our health and our lives. Something becomes a habit, in part, because repeated behaviors create a synaptic pathway in the brain that gets stronger with more repetition. Most undesired habits have an immediate up-side, pleasure. For example, the pleasure value of playing video games until 2:00 o’clock in the morning. In the moment, immediate pleasure outweighs the theoretical value of getting a good night’s sleep. Not that the value of a good night’s sleep is theoretical, but in the moment the immediate pleasure is a fact and the outcome of adequate sleep is a concept. The immediate pleasure of the third scoop of ice cream outweighs the concept that poor diet contributes to overweight and obesity. The immediate pleasure of checking or sending a text message in the car is greater than the abstract concepts that 11 teens die every day in texting-related car accidents and it is likely that 4,000 people will die this year in distracted driving accidents.Bad habits create a synaptic pathway tat is like a rut in your brain. And it is hard to get out of a rut. So, understanding the difficulty of giving up an in-the-moment pleasure for a more healthful ideal, how can we effectively adopt the habits of health? One step can be to take an honest assessment: What habits you desire to adopt and what habits do you choose to break. Sometimes these come in pairs. “Create a habit of morning exercise” goes with “eliminate the snooze-button habit.” Most people will find it best to change habits by focusing on moving toward something you they want (more optimal fitness) and some will be more motivated by moving away from that which you do not want (being out-of-shape). For a habit you wish to adopt Duhigg suggests finding a reward.The reward does not need to be big and it does not need to make sense in context with the habit you seek to adopt. In the NPR interview he discusses a study in which, in part, people rewarded themselves for exercising with a small piece of chocolate. Chocolate seems to go against the intended goal, but the small reward can help to reinforce the good behavior and create a a new synaptic pathway, associating exercise with pleasure. Another technique to creating a new, healthy habit is using a cue. For example, always setting your workout clothes out the night before, or having an regularly appointed time or group with whom to exercise. Yet another technique for improving health through our habits is by creating a vision board. 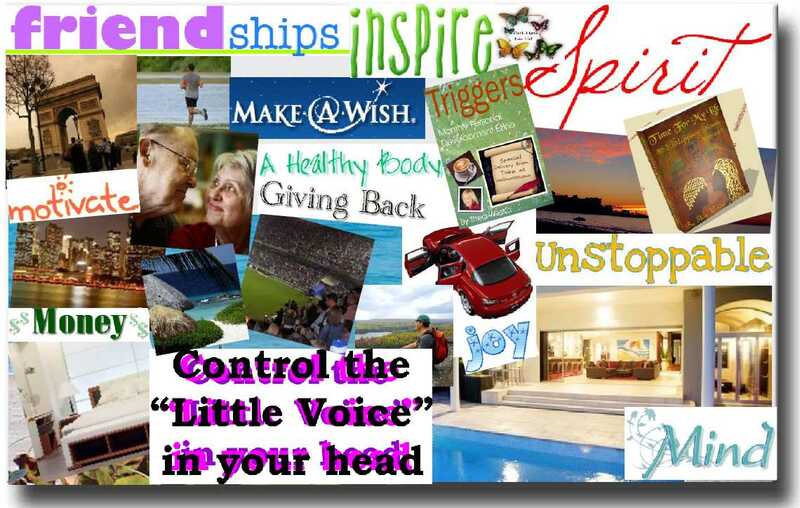 A vision board is a visual representation for what you want your life to be like. It is a collection of magazine photos, words, quotes, and other inspiring things that you put in a place where you will see it on a daily basis. Your vision board can be made to inspire you to better health habits, financial success, career satisfaction, anythign you want. A healthy habits vision board can serve as a daily reminder fo your goal for a healthier future. I would love to hear your habit stories. Is there a habit you have struggled to break or adopt and succeeded? How did you do it? Share your story on our Facebook page. So, you may be planning to avoid eating so much chocolate this Valentines Day. That’s great. There are also sources of hidden sugar in your diet. Moderation of all sources of sugar will help you to move toward optimal health. 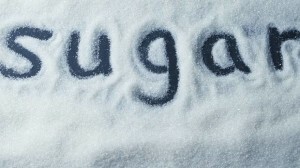 So what are some of these “hidden” sugars? Yogurt. Ok, I have harped on yogurt before, but, I still see people eating it so I guess my work is not done. Plain yogurt has about 12 grams of sugar in the form of lactose, or milk sugar, in a serving. For people who tolerate dairy well, plain yogurt in moderation can be a fine addition to the diet and may be beneficial by providing healthy bacteria to the digestive tract. Once that yogurt is flavored, however, all the heath benefits go out the window. I was at the grocery store yesterday getting some plain, organic yogurt and I saw Almond Coco Loco Greek yogurt. Yikes! I know someone out there is thinking this 21 gram sugar bomb is a healthy snack. That’s five sugar cubes plus a little more. These yogurts are desserts, not healthy snacks, and should be consumed as moderately as a dessert or, perhaps, not at all. Bread, pasta, cereal, crackers. Everything that you eat that your body will use for energy will be turned into glucose by the body. Glucose is the energy currency of the body, it makes your engine run. Carbohydrate rich foods like bread, especially white bread, are converted into glucose by the body quickly compared to, for example, meat or green vegetables. So, even if something does not taste sweet if it rapidly converts into glucose, aka sugar, in the body that food is part of your overall sugar consumption. Sports drinks. Very few of us really need a sports drink to “replace electrolytes” after a work out. We just don’t. And sometimes we choose a sports drink because we think it is a healthier choice than a soda. It isn’t. A typical sports drink contains five teaspoons of sugar in a twelve ounce serving, and the servings are often three times that size. So find an alternative way to hydrate. But not with cranberry or orange juice. Cranberry juice cocktail has an amazing 12 teaspoons of sugar in a twelve ounce serving, and orange juice, in a tie with Coke, has ten. Coffee drinks. Of course we know that a caramel mocha cafe latte with whipped cream and chocolate sprinkles has a bunch of sugar in it. What about the more modest cousin to those confectionary coffee drinks, the simple cafe latte with skim milk? As a college student I worked at a coffee shop and I recall making lattes with espresso and steamed milk, I would not have thought it had sugar in it. A survey of a couple of nationwide coffee shops show their unsweetened and unflavored medium non-fat lattes to have between 18 and 21 grams of sugar. Say what? As it happens, milk has about 13 grams of sugar per cup. And some coffee chains add a touch of sweetener to their “unsweetened” drinks. Same goes for soy milk that they use in most coffee shops, at least 13 grams of sugar in an 8 ounce serving. If you’re cutting back on sugar you’d be better off with regular drip coffee and a splash of half and half. Salad dressing. Another source of hidden sugar is salad dressing. There are sweet dressings, like raspberry vinaigrette, for which the sugar content would not surprise you. Even non-sweet dressings, like Ranch, have sugar in them. Reduced fat dressings can have five times more sugar than the regular versions because in order to make the non-fat version as similarly appealing as the full-fat version the manufacturers up the sugar. Read the nutrition label, you might be surprised. One way to cut back on sugar is to make your own dressing, of course. Try a simple oil and vinegar dressing with lemon or spices for flavor. When you do use prepared dressings use them sparingly. It is easy give yourself a larger portion than you intended. If you use less and toss your salad well you will be happy with the result. Granola bars. Even If you have been passing up the chocolate chip granola bars and choosing the more austere oats and nuts varieties you are likely getting a minimum of 11 grams of sugar. A clif bar has over 20 grams, a power bar has 23 and the “no-added sugar” Lara bar has 14-20 depending on the variety. Granola bars have been a snack mainstay in our house in the past, mainly for the kids. Portable, shelf stable, kid-friendly. However, we are kicking the granola bar habit. Some of our better on-the-go snack choices are almonds and fresh fruit, hard boiled eggs, low-fat string cheese or celery and sunflower seed butter. Theses snacks are not as quick as grabbing a granola bar but they are easy enough and the kids are just as happy. A Happy and Healthy Valentine’s Day to all!